The Semiconductor device is made up of a material that is neither a good conductor nor a good insulator, it is called a semiconductor. Such devices have established wide applications because of their reliability, compactness, and low cost. These are discrete components which are used in power devices, compactness optical sensors, and light emitters, including solid-state lasers. They have a wide range of current and voltage handling capabilities, with current ratings more than 5,000 amperes and voltage ratings more than 100,000 volts. More importantly, semiconductor devices lend themselves to integration into complex but readily build-up microelectronic circuits. They are having probable future, the key elements of the majority of electronic systems including communications with data-processing, consumer, and industrial-control equipment. Semiconductor devices are nothing but electronic components that exploit the electronic properties of semiconductor materials, like as silicon, germanium, and gallium arsenide, as well as organic semiconductors. Semiconductor devices have replaced vacuum tubes in many applications. They use electronic conduction in the solid state as opposed to the thermionic emission in a high vacuum. 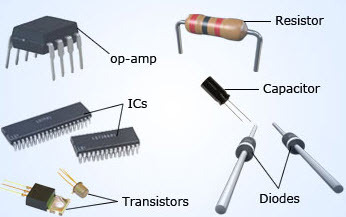 Semiconductor devices are manufactured for both discrete devices and integrated circuits, which consist of from a few to billions of devices manufactured and interconnected on a single semiconductor substrate or wafer. Semiconductor materials are useful by their behavior which can be easily manipulated by the addition of impurities is known as doping. Semiconductor conductivity can be controlled by the electric or magnetic field, by exposure to light or heat, or by the mechanical deformation of a doped mono crystalline grid; thus, semiconductors can make excellent sensors. Current conduction in a semiconductor occurs free of electrons and holes, collectively known as charge carriers. Doping of silicon is done by adding a small amount of impurity atoms and also for phosphorus or boron, significantly increases the number of electrons or holes within the semiconductor. When a doped semiconductor contains excess holes it is called “p-type”(positive for holes)semiconductor, and when it contains some excess of free electrons, it is known as “n-type”(negative for electrons) semiconductor, is the sign of charge of the majority mobile charge carriers. The junctions which formed where n-type and p-type semiconductors are joined together is called p–n junction. 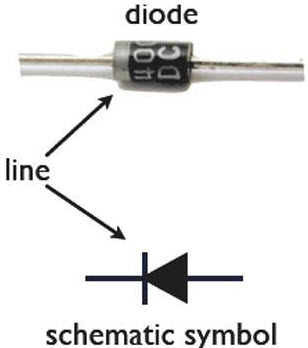 A semiconductor diode is a device typically made up of a single p-n junction. The junction of a p-type and n-type semiconductor forms a depletion region where current conduction is reserved by the lack of mobile charge carriers. When the device is forward biased, this depletion region is reduced, allowing for significant conduction, when the diode is reverse biased, the only less current can be achieved and the depletion region can be extended. Exposing a semiconductor to light can produce electron hole pairs, which increases the number of free carriers and thereby the conductivity. Diodes optimized to take advantage of this phenomenon is known as photodiodes. Compound semiconductor diodes are also being used to generate light, light-emitting diodes and laser diodes. 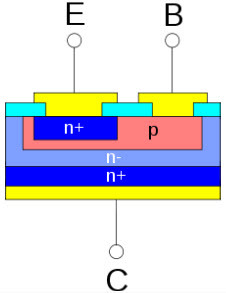 Bipolar junction transistors are formed by two p-n junctions, in either p-n-p or n-p-n configuration. The middle or base, the region between the junctions is typically very narrow. The other regions, and their related terminals, are known as the emitter and collector. A small current injected through the junction between the base and emitter change the properties of the base collector junction so it can be conduct current even though it is reverse biased. This creates a larger current between the collector and emitter, and controlled by the base-emitter current. Another type of transistor named as field-effect transistor, it operates on the principle that semiconductor conductivity can increased or decreased by the presence of an electric field. An electric field can increase the number of electrons and holes in a semiconductor, thus changing its conductivity. The electric field may be applied by a reverse-biased p-n junction, and it’s forms a junction field-effect transistor (JFET) or by an electrode insulated from the bulk material by an oxide layer, and it forms a metal-oxide semiconductor field-effect transistor (MOSFET). Now a day’s most used in the MOSFET, a solid-state device, and semiconductor devices. 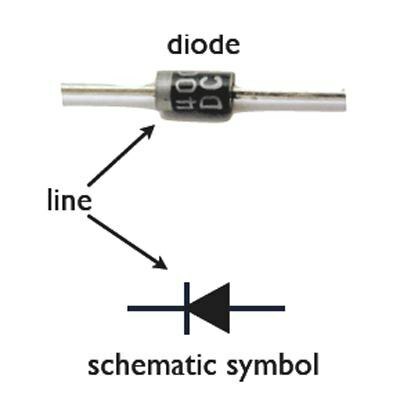 The gate electrode is charged to produce an electric field that can control the conductivity of a “channel” between two terminals, is called the source and drain. Depending upon the type of carrier in the channel, the device may be n-channel (for electrons) or p-channel (for holes) MOSFET. The silicon (Si) is most widely used material in semiconductor devices. It’s having lower raw material cost and relatively simple process. Its useful temperature range makes it currently the best compromise among the various competing materials. Silicon used in semiconductor device manufacturing is presently fabricated into bowls that are large enough in diameter to allow the manufacture of 300 mm (12 in.) wafers. Germanium (Ge) was a widely used in early semiconductor material, but its thermal sensitivity makes less useful than silicon. Nowadays, germanium is often alloyed with (Si) silicon for use in very-high-speed SiGe devices; IBM is a main producer of such devices. Gallium arsenide (GaAs) is also widely used with high-speed devices, but so far, it has been difficult to form large-diameter bowls of this material, limiting the wafer diameter sizes significantly smaller than silicon wafers thus making mass production of Gallium arsenide (GaAs) devices significantly more expensive than silicon. The list of common semiconductor devices mainly includes two terminals, three terminals and four terminal devices. All types of transistor can be used as the building blocks of logic gates, which is useful to design of digital circuits. In digital circuits like as microprocessors, transistors so which is acting as a switch (on-off); in the MOSFET, for example, the voltage applied to the gate determines whether the switch is on or off. The transistors are used for analog circuits do not act as switches (on-off); relatively, they respond to a continuous range of input with a continuous range of output. Common analog circuits include oscillators and amplifiers. The circuits that interface or translate between analog circuits and digital circuits are known as the mixed-signal circuits. As semiconductor devices have no filaments, hence no power is needed to heat them to cause the emission of electrons. Since no heating is required, semiconductor devices are set into operation as soon as the circuit is switched on. During operation, semiconductor devices do not produce any humming noise. Semiconductor devices require low voltage operation as compared to vacuum tubes. Owing to their small sizes, the circuits involving semiconductor devices are very compact. Semiconductor devices are shock proof. Semiconductor devices are cheaper as compared to vacuum tubes. Semiconductor devices have an almost unlimited life. As no vacuum has to be created in semiconductor devices, they have no vacuum deterioration trouble. The noise level is higher in semiconductor devices as compared to that in the vacuum tubes. Ordinary semiconductor devices cannot handle as more power as ordinary vacuum tubes can do. In high frequency range, they have poor responder. Thus, this is all about different types of semiconductor devices include two terminals, three terminals and four terminal devices. We hope that you have got a better understanding of this concept. Furthermore, any doubts regarding this concept or electrical and electronic projects, please give your feedback by commenting in the comment section below. Here is a question for you, what are the applications of semiconductor devices? Battery is a semicondutor device? No, it is not a semiconductor device. Thank you so much for providing such a detailed article.